'Mind Maps' Exhibit Hacked: A Case Of Guerrilla Curation? : 13.7: Cosmos And Culture A trip to the museum is all about learning. But maybe you have something to share, too. Commentator Tania Lombrozo flags a case of uninvited public participation at a London show. Mind Maps: Stories from Psychology is a current exhibit at London's Science Museum. Co-sponsored by the British Psychological Society (BPS), it explores our understanding of the human mind through 250 years of mental health diagnosis and treatment. When the exhibition's lead curator arrived to give a tour last Thursday, he found a surprise amidst the displays on mesmerism, electroconvulsive therapy and other tricks and treatments of the psychologist's craft: a dummy head topped with a colander. An unexpected addition to the Mind Maps exhibit at London's Science Museum, the result of vandalism. 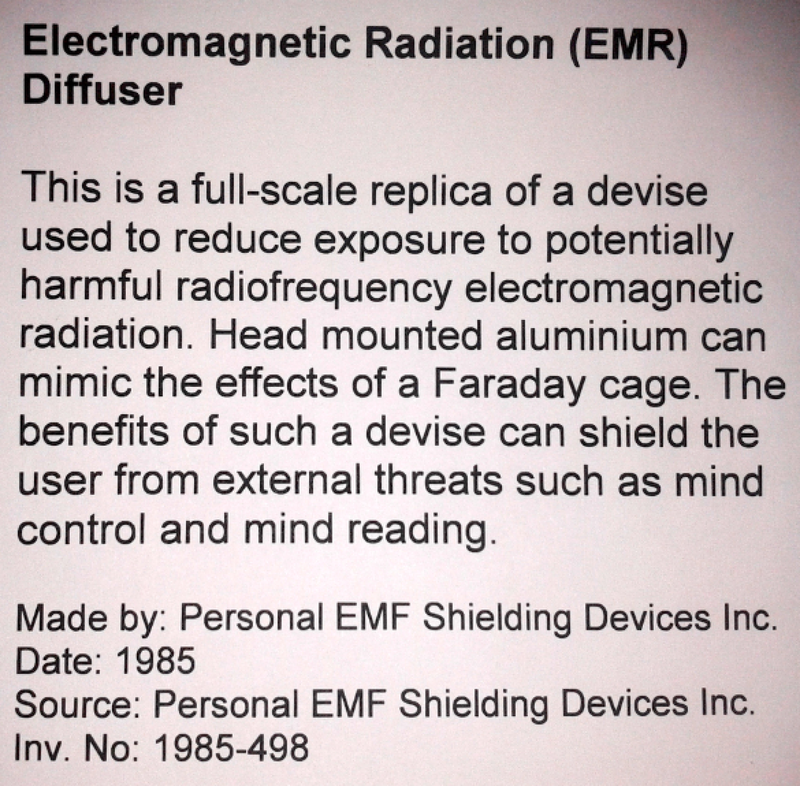 The fake addition to the exhibit was accompanied by an informative label explaining the device's impressive effects, including protection against mind reading. Today's curators care a lot about what we call 'co-curation,' or involving people outside the museum in decisions about what goes on display. This intervention, however, is probably better described as guerrilla curation, or hacking. While we can't condone it, I was genuinely tickled by how lovingly it mimicked a traditional museum label, complete with fake inventory number and source, and by how well it complemented the Mind Maps exhibition. Psychology has always been emerging from a boisterous cloud of slightly bonkers ideas, and for me, as a historian of science, that's exactly what makes it so fascinating. Indeed. 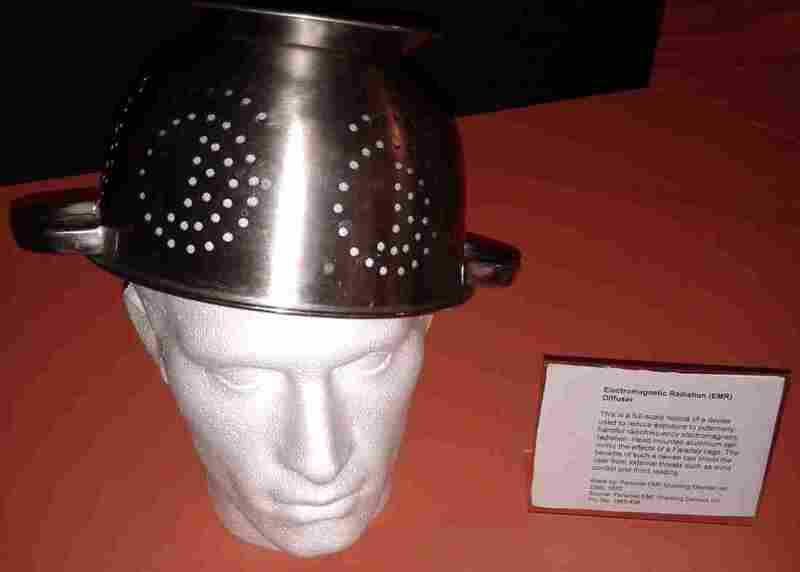 Part of what made the addition such a good fit for the exhibit is that, like many classic theories from psychology, a colander is full of holes.